In today’s urbanized way of living, Indians are turning their heads towards more innovative and exciting choices for food. This has boosted the acceptance of global flavours and cuisines. People now have an evolved palette that yearns for experiments and uncommon flavors. What has lately become the new tasteful ingredient for the Indian kitchen is the magical mayonnaise. It has rapidly become the new alternative for products like butter, cheese and is extensively used in almost all our daily meals. 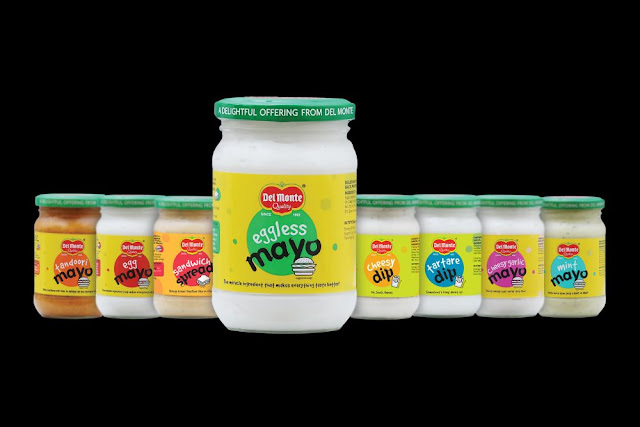 Del Monte has thus a wide array of condiments that go well with lip-smacking dishes and satiate your taste buds. This monsoon season, Del Monte’s delightfully thick and creamy mayo will serve as heaven for foodies who love to binge on burgers, sandwiches, samosas. Be a little more experimental and use it as a cocktail dip or salad dressing. Mint Mayo, Eggless Mayo, Cheesy Dip, Tandoori Mayo, Sandwich Spread and Cheesy Garlic Mayo - these magical flavours will surely leave you craving for more!